Between the national legalization of recreational marijuana use in Canada effective October 17 and the ongoing state ballot proposals related to public consumption in the U.S., cannabis remains one of the most debated topics for consumers and business owners today. Many Canadian businesses have already begun to make edible cannabis products even before those types of products are officially legal. Only marijuana products comprised of fresh or dried buds, oil, plants and seeds may be sold in Canada starting next week. The Canadian government has indicated that it will address the legal sale of edibles in the months ahead, although no deadline has been set. South of the Canadian border, 30 states have legalized the medicinal and/or recreational use of marijuana as of this month. Four more states will have marijuana legalization measures on November ballots, including recreational usage in both Michigan and North Dakota. Yet marijuana use is still illegal according to federal law. With such a controversial topic, the potential for a broad array of liabilities for businesses operating in the field is high. A June ballot proposal seeking to legalize medicinal marijuana use in Oklahoma was approved by voters, and now its state non-industry business officials are asking state legislators to provide legal regulatory protection to drug test employees in an effort to decrease their liabilities. For many, understanding which insurance products will minimize liabilities in this field is an enormous challenge. Customized General Liability (GL) policies are available to dispensaries, marijuana manufacturers and now retailers in Canada, Clarke said. These GL policies address coverage for a building, products and other related liabilities. “All of our policies are really tailor-made based on your profile and risk,” Clarke said. Product Recall Insurance is also available for companies in Canada and covers costs such as business interruption and crisis communications, Clarke said. Yet, such specialty policies can be hard to find. Under U.S. federal law, possession of marijuana is a misdemeanor punishable by up to one year in prison and up to a $1,000 fine for a first offense. 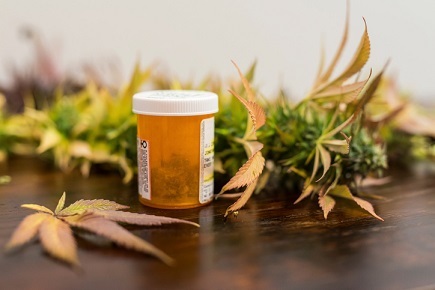 That has made the offering of Cannabis Insurance a debatable one for most carriers, said Drew Delaney, Underwriter, Commercial Insurance, Burns & Wilcox, who works with clients in Michigan. Some carriers refuse to offer any Cannabis Insurance, even if state laws require it of business owners, because the carriers do not want to be exposed to potentially costly lawsuits.